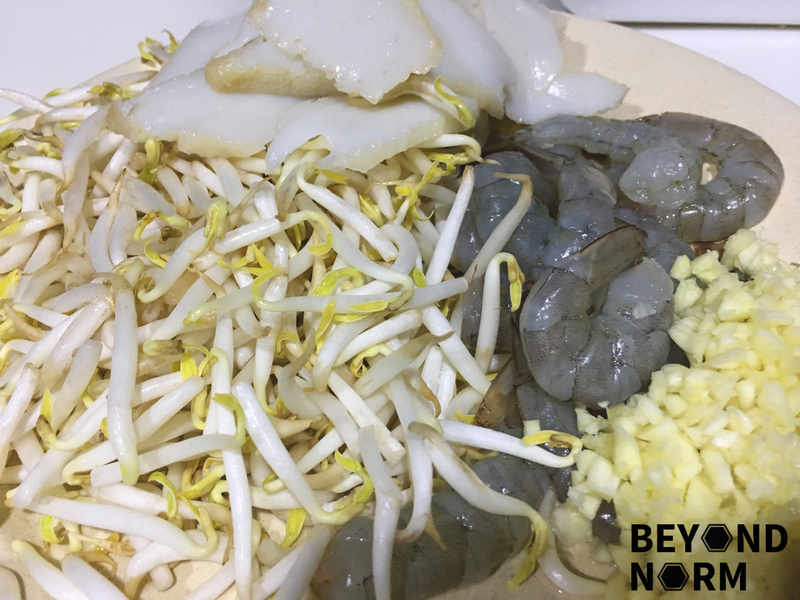 Char Kway Teow has a reputation of being unhealthy due to its high saturated fat content. 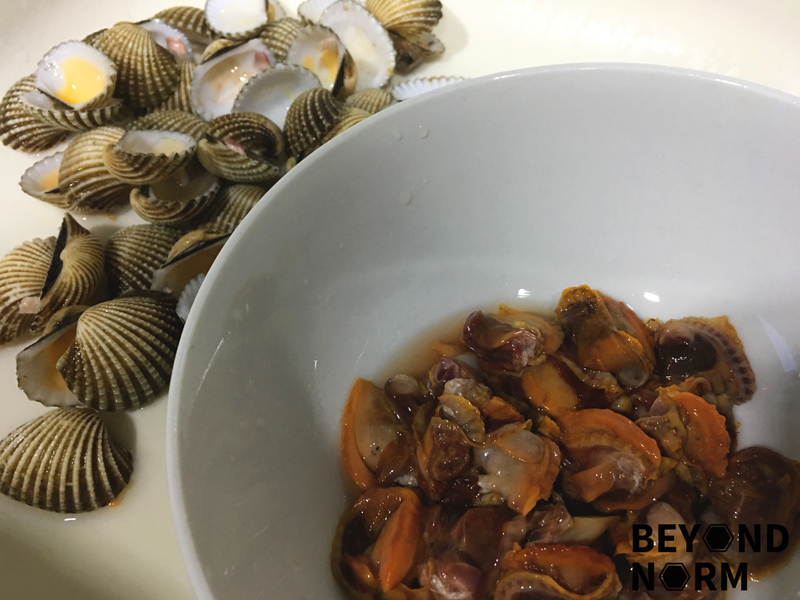 However, when the dish was first invented, it was mainly served to labourers. The high fat content and low cost of the dish made it attractive to these people as it was a cheap source of energy and nutrients. 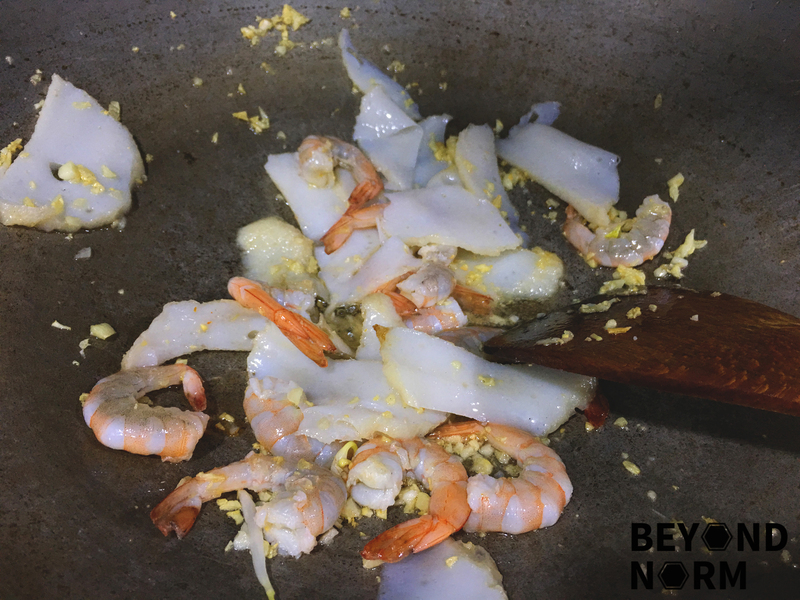 When the dish was first served, it was often sold by fishermen, farmers and cockle-gatherers who doubled as char kway teow hawkers in the evening to supplement their income. 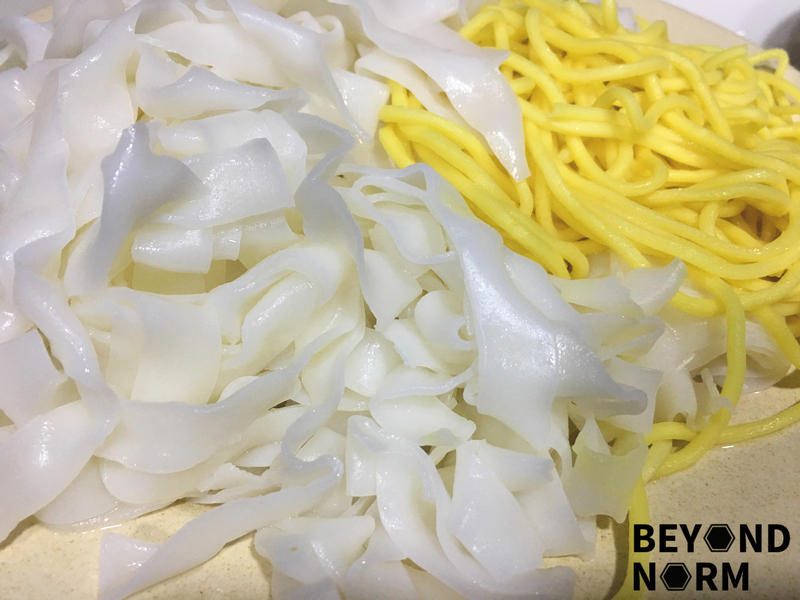 I know, I know… Some still deem it as unhealthy but my justification is if you are not indulging in this noodle dish daily we should be doing fine. So let’s get “woking”…. Pound or blend all the ingredients of chilli paste till fine. Heat up a wok with 2 teaspoons oil and stir-fry the chilli paste until aromatic. Add in the chopped garlic and stir till fragrant. Next add in the prawns. Stir till it slightly changes colour. 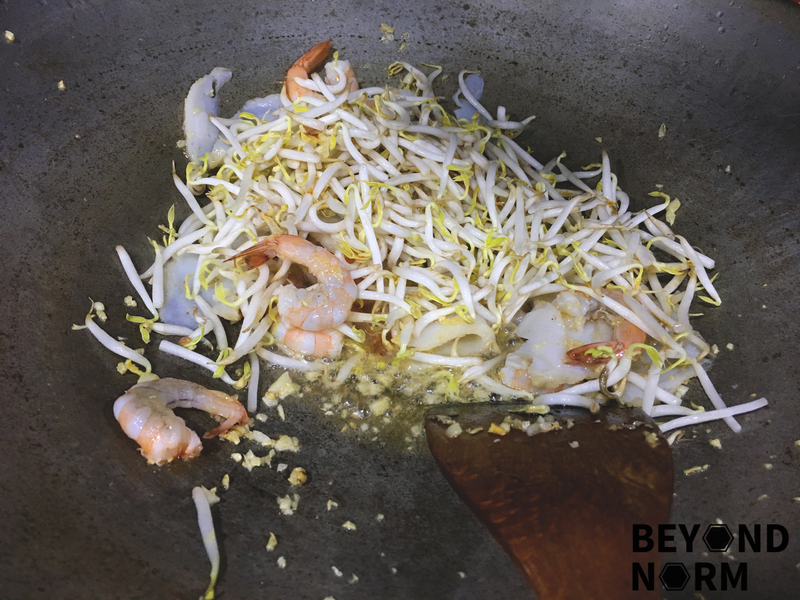 Add the bean sprouts and fish cakes and give a quick stir. Immediately add in the noodles and stir fry. Push the noodles to one side and add some oil on to the empty area. Then add the eggs on it. Use the spatula to break the egg yolk and stir to blend with the egg white. 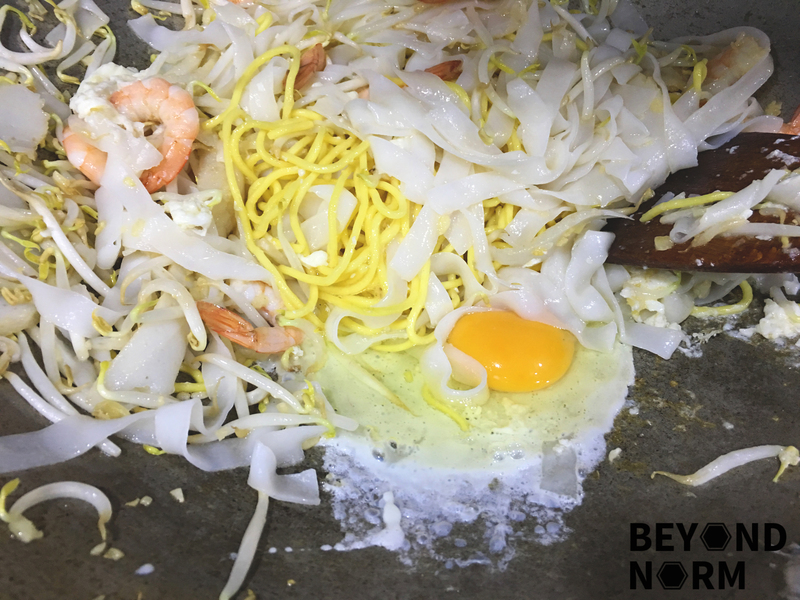 Flip the noodles and cover the egg, and wait for about 15 seconds. Add in the cockles and the chives. Then stir in. Add in the sauce and stir fry till it is well mixed with the noodles. Dish out the noodles and put a notch of chilli at the side. Serve immediately.